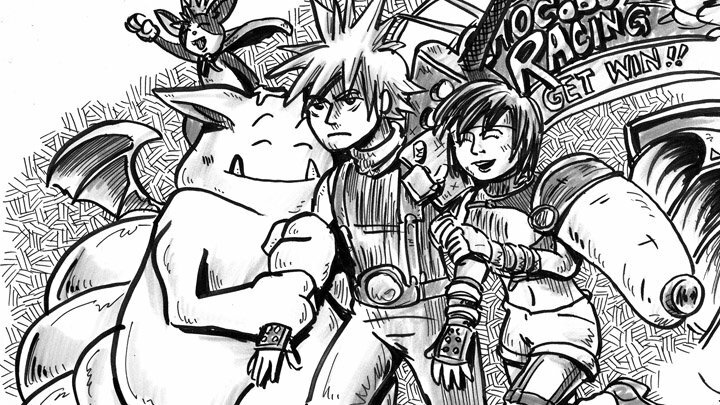 An archival interview delves into the history and philosophy of Square's strangest RPG series. Note: This article was originally published on 1UP.com (Oct. 2012) but is no longer available on the site or via the Internet Archive. Five years ago, I had the opportunity to interview Square Enix's Akitoshi Kawazu. 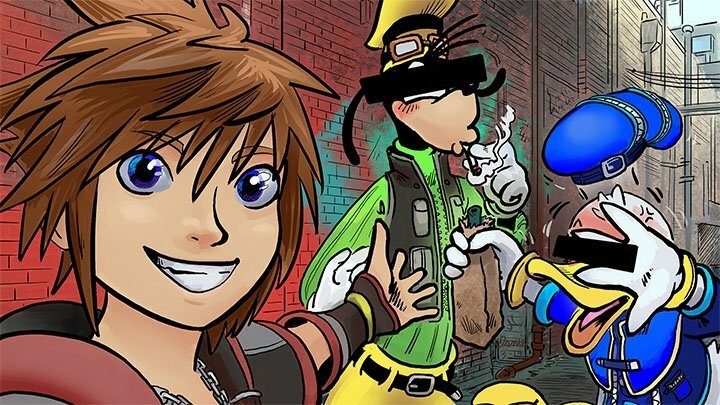 We had spoken a few years earlier during his E3 promotion of Final Fantasy Crystal Chronicles: The Crystal Bearers, but our 2012 interview didn't have a direct connection to any current release. I simply wanted to learn more about the origins of Final Fantasy (which was about to turn 25 years old) and the SaGa series that had been Kawazu's pet project for the past couple of decades. Sadly, that interview has been lost to the ether in the wake of 1UP.com's closure, so I've dug it out my personal archives to tie in with this week's podcast (which centers on the Final Fantasy Legend trilogy for Game Boy). JP: How did you get your start in the games industry? Akitoshi Kawazu: I was initially a journalist at a game magazine. JP: Really? Which one? I didn't realize we had a common background. AK: It's out of publication now, but it was a Softbank magazine called Beep. 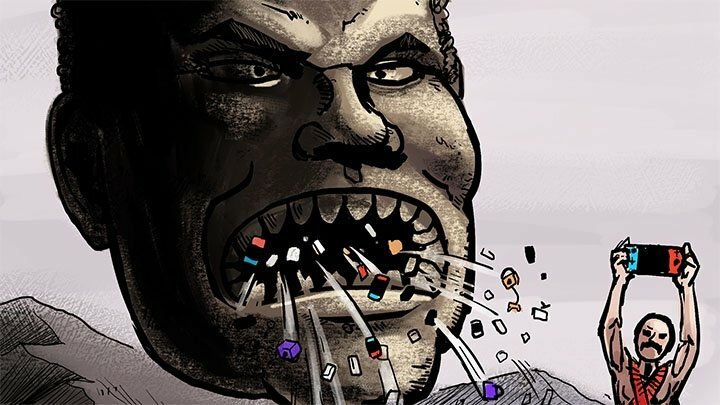 JP: I take it that was a PC publication? AK: It was actually kind of a general game periodical, covering arcades as well. All kinds of formats. JP: It's kind of a cliche these days to go from the gaming press to game development, but you might have been a sort of pioneer in that sense. AK: Looking back on it now, at the same office, there were many others that did exactly what I did and still work in the games industry now. That was just how the times were. That's what people did back then. JP: What led you to decide you wanted to make the games instead of write about them? AK: Since I was a kid, I made... not computer games, but board games and things like that. I always had an interest in making games. It wasn't my initial motivation to become a game journalist -- a friend told me to come do it, so that was my motivation for going to work at the magazine -- but I always had an interest in making games. JP: Was Square the first game developer you worked with? JP: What was the first project you worked on at Square? 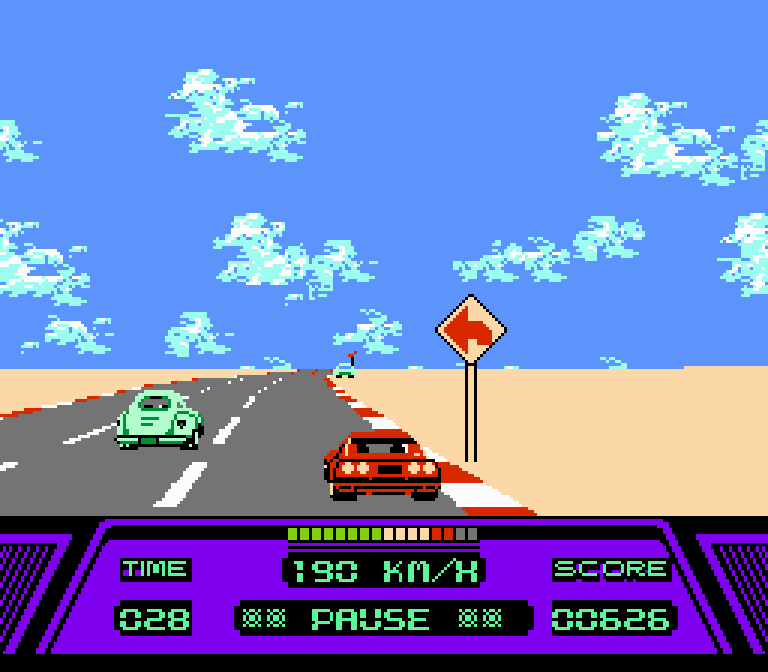 AK: Highway Star (Rad Racer). At the end of the game, where it tells you how far you got and these dots come out to symbolize how far you've gotten... I was the one who created those dots. I put the dots in there. JP: Did you work on both Rad Racer games? AK: I don't quite remember if there were actually two or not... [laughs] Probably just the first one, then. JP: That was a game with 3D graphics. Have you thought about bringing that back for the 3DS? AK: Maybe it's a bit too dated now. [laughs] The 3D in there uses a particular kind of technology. JP: Yeah, the glasses with the shutters. In America we never got the shutters, but we did get the game, so it just came with paper glasses. AK: Yeah. But the 3DS can't actually handle the technology of that game, so we can't do a remake. JP: You mentioned that you used to make board games before you made video games. Did you ever publish a board game, or were they just things you created for yourself? AK: I basically just made them for myself, yeah. JP: What kind of board games did you like to play? AK: I liked war games, mainly. Avalon Hill and companies like that. I played a lot of their war strategy games. JP: Did you play tabletop RPGs like Dungeons & Dragons? JP: I feel like I see those influences in your work a lot. Especially something like Unlimited Saga — it feels very much like a board game. AK: Yeah. When I design games, I analyze elements of board games and how they work. It is at the foundation of a lot of the games I make. JP: When you were brought over to work on Final Fantasy, what role did you play in the development of the original game? How did your love of board games and other video games help shape the work you did there? AK: Initially, talking about the genesis of the whole Final Fantasy franchise... [Hironobu] Sakaguchi said, with the first one, "Let's make an RPG." I'm a little foggy on just how much Dragon Quest influenced that decision, but the one thing you can say for certain was that when Dragon Quest came out, it proved to this country that RPGs could sell. Mr. Sakaguchi had wanted to make an RPG long before that, but he couldn't get permission from the company, because the company said, "Well, we're not sure that will sell." But with Dragon Quest proving that a game like that could be successful, we were finally able to get that going. It all started with that. We were all big fans of Wizardry and Ultima back then. Even though Dragon Quest had come out, in our minds, there still wasn't anything quite comparable to Ultima or Wizardry. That's the kind of game that Sakaguchi and Hiromichi Tanaka and I were interested in. 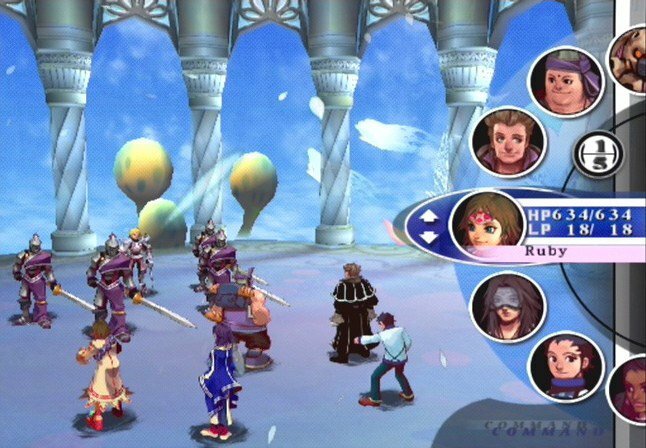 As far as my role in the game went, I was mainly in charge of the battle system and battle sequences. For that, I tried to make it as close to Dungeons & Dragons as possible. That was my goal. JP: Dungeons & Dragons, being a tabletop game, has a strong human element. The way the game unfolds... Of course you have dice rolls, but you also have the game master, the dungeon master, guiding you through that. How challenging was it to re-create the tabletop combat experience with hardware as limited as the Famicom? AK: I didn't need to oversimplify things, but there are certain precepts when it comes to a Dungeons & Dragons type of environment, a western role-playing experience. Like "zombies are weak against fire," or "monsters made of fire are weak against ice." If you think about it a little, they all make sense, and these are all things that D&D already sets up. Certain things are weak against certain other things and strong against yet other things. They all have these relationships. Up until that point, Japanese RPGs were ignoring all of that. They didn't incorporate those elements. It just wasn't a part of what they were doing. That's what I found kind of irritating. Simple as it may sound, that's the kind of stuff I wanted to work in. Obviously it's going to be hard to simulate the human experience of a game master and the players interacting. I couldn't be too worried about that kind of thing. But I did want to incorporate those precepts of western RPGs into the game. JP: I feel like the original Final Fantasy has a lot of almost undocumented features. Things you can do in battle like using certain weapons as items and they'll cast spells. Were those also some of the elements that you wanted to add, to make it more like a western RPG? AK: A much simpler explanation for that is that Wizardry had already done a lot of those things. Throwing stars put haste on you, things like that. The most powerful spell in Knight of Diamonds can be used with a certain gauntlet. These kinds of things were already a part of... They're things I found to be really fun and engaging in Wizardry. So I just decided to incorporate those elements in our game as well. JP: I feel like the character classes that you pick at the beginning of the game have a huge impact on the way that you play the rest of the game. Can you speak to those a bit? AK: The fun in an RPG begins when you create a character, in my mind. I didn't feel the need to have a suggested party at the beginning for clearing the game. I wanted people to be all Black Mages or all Warriors if they wanted. But back then... In those days, people didn't think that deeply about that kind of thing, either. It wasn't just us. Everyone was sort of like that. The idea was to just let people figure things out. If you make a party of all White Mages, you probably can't clear the game, but we weren't really worried about that affecting the balance or anything like that. You say that the fun of an RPG begins as you create the characters, but for the next Final Fantasy game, you didn't really create the characters. You had four characters and then some rotating cast members. They didn't have classes. They didn't have set specializations. Can you talk about the very different skill system that Final Fantasy II used? AK: There's two reasons. The first reason was, we wanted a more story-driven game for the second Final Fantasy. Obviously, we needed specific characters to fulfill certain roles within the story, within the lore. When you allow everyone to create whatever they want, then it doesn't really mesh into the story well. That's reason number one. The second reason is... The argument was that the system is more about nurture than nature now. You don't choose what you are in the beginning. You make them grow in a certain way and then they'll eventually go in a direction to become whatever you set them up to be. If one character uses a lot of magic, then they'll naturally become a mage. It's not something you decide at the beginning. The character-building process goes through the entire game. JP: Did you anticipate the way people would abuse that system? Attacking their own party members to get stronger and that sort of thing. AK: No, I had no idea. [laughs] I had no idea people would use it to essentially grind levels. It's much more of a simple explanation here again... I thought that if characters were put to sleep, well, it makes sense to wake them up faster by hitting them. That's the reason why I put that in. I never realized it would become a way to increase your hit points or whatever. JP: Is that why Final Fantasy III went with more of a traditional class-based system? AK: I don't know that much about Final Fantasy III because at that point, I wasn't really involved. 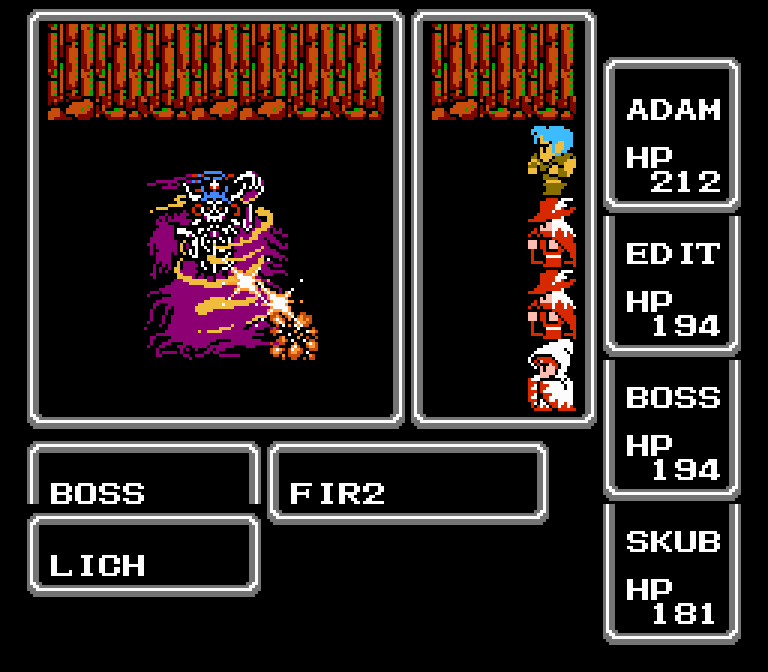 Final Fantasy II was basically my system, and it's an eclectic kind of system. Eclectic because I made it, you know? There was nobody else I could hand the torch off to afterwards, because there was nobody else who could fathom it. [laughs] That's why it changed. JP: The next project you worked on after Final Fantasy II was...? AK: SaGa [Final Fantasy Legend]. 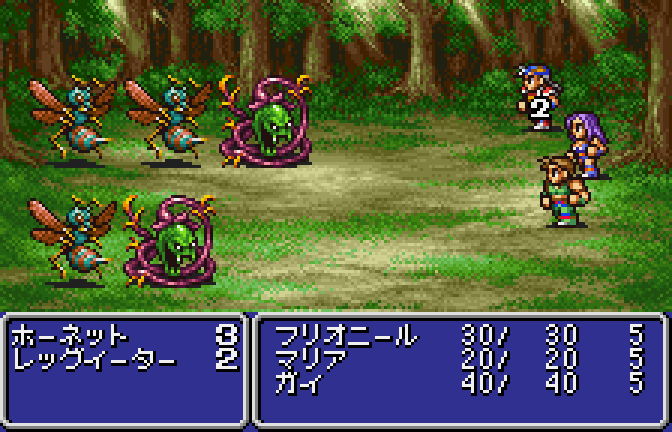 JP: I've always seen SaGa as a sort of spiritual successor to Final Fantasy II in a lot of ways. Is that a fair assessment? AK: I thought that it was a boon, sort of, to have a different identity from Final Fantasy by creating this new IP, this new series. Instead of thinking in terms relative to Final Fantasy, I wanted to do things that Final Fantasy wouldn't do or couldn't do. I wanted to incorporate those ideas into this new game. But, that being said, I took lessons I learned from making Final Fantasy II, like hitting each other and stuff like that. Obviously, things that I had not foreseen. So I did learn a lot from Final Fantasy II, and I incorporated those lessons into SaGa. But I wanted it to be something different altogether. JP: What I mean by spiritual successor is... In some ways SaGa has that nurture-based system, as you put it, from Final Fantasy II, but at the same time, it has the races, so you have a class-based system. It combines the way both Final Fantasies worked and then strikes out in a new direction. JP: They change when they eat meat. AK: Oh, yeah. Espers get a lot of unique abilities as they go along. In that way, you don't have the same exact template at the end. That was the motivation behind the SaGa system. JP: If you look at the SaGa games all the way from Final Fantasy Legend through Romancing SaGa and SaGa Frontier, they're all very different from one another. What do you think is the unifying theme of the SaGa games? What binds them together and makes them "SaGa"? AK: The rules of each game might be different, but the unifying theme is that... Allowing the players to play the game the way they would like to play it. Giving them freedom to take the game in the direction they want to take it, without interfering too much on the design side. I feel that's the unifying theme behind SaGa. JP: After developing the SaGa series, you did come back to the Final Fantasy series to work on Final Fantasy XII and the Crystal Chronicles games. What did you bring from the experience you had gained outside the Final Fantasy series back into the franchise when you returned to it? AK: I don't really feel obligated, just because it's a Final Fantasy title, to say, "It needs to be like Final Fantasy." There's nothing specific that I bring from SaGa, but I did want to bring in that same kind of spirit of allowing more freedom for players. In general, I'm not really tied to any kind of development philosophy just because it's a Final Fantasy. That's why it might feel a little different. JP: So what you're saying is, you didn't look at Crystal Chronicles and say, "That needs to have White Mages and Black Mages and Curaga and that kind of thing." All those traditional Final Fantasy touchstones. AK: There was no need to go out of our way to take out elements like Black Mages or White Mages. RPGs always need that role anyway. If there's a role like that, why not call it a Black Mage or a White Mage? 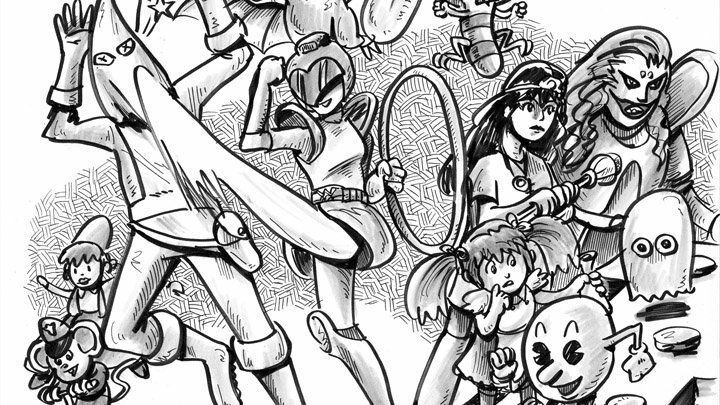 That being said, I don't feel that you definitely need a Black Mage or a White Mage for a game to be interesting. I feel like a game can survive without those elements. JP: Your current project, Emperors SaGa. Can you talk about how you are adapting the SaGa concept for a mobile game? AK: I feel like I'm still in the research process. First of all, the term "social game" might not mean the same thing here in Japan as it does in America. It's mostly this mobile-phone kind of phenomenon here, that's specific to the Japanese environment. It's really not something I'd thought of before, combining Japanese-style social games with the SaGa franchise. I'm still feeling my way around and researching what to do. Unlike a lot of the other franchises that we have, SaGa has more of this PvP element that a lot of the other titles here lack. This idea of playing against another player isn't something that's very mainstream here. I feel like that's where I can draw a distinction from, say, Final Fantasy Brigade, which is another mobile title we have, a Final Fantasy-based social game. It's still very early on. I'm still figuring everything out. But I feel like I can get a start there.